What do vegans eat for breakfast? That's a great question. Sure there is oatmeal, cereal with non-dairy milk, toast topped with nut butter, smoothies, and so on. But what about a savory breakfast to replace one's beloved eggs? Not to worry, fair readers, we've got you covered for the next 10 days. 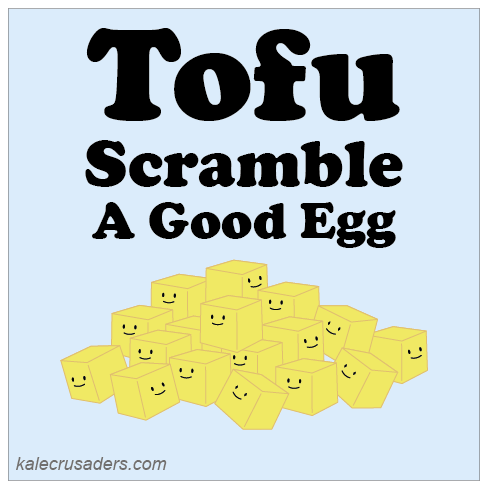 The first stop in this egg-free breakfast tour is the classic tofu scramble. This Tofu Scramble by Gabby Ouimet at The Veggie Nook proves that nutritional yeast, black salt, and spices can transform a blah slab of tofu into a incredible savory breakfast.